„Mannar“ is the name of a city and and island and a district in Sri Lanka‘s Northern Province. Mannar District, covering 2000 square kilometers, is much larger than the Island of Mannars, which is 30 km long and up to 6 km wide, covering only 130 square kilometers. Distance from Colombo to Mannar Island ist 220 km, as the crow flies. Mannar Island is linked to the main island of Sri Lanka by a causeway. This 3.5 km long dam is crossed by the A14 highway which starts as a trunk road of A9 highway in Medawachchiya 20 km to the north of Mihintale. A trunk railway line started from Medawachchiya, too. It was severely damaged during the civil war, but will be renovated within the near future. The first segment leading to Madhu was reopened in 2013. Apart from Delft Island, Mannar Island is the only place in Sri Lanka where you can observe freely roaming horses. 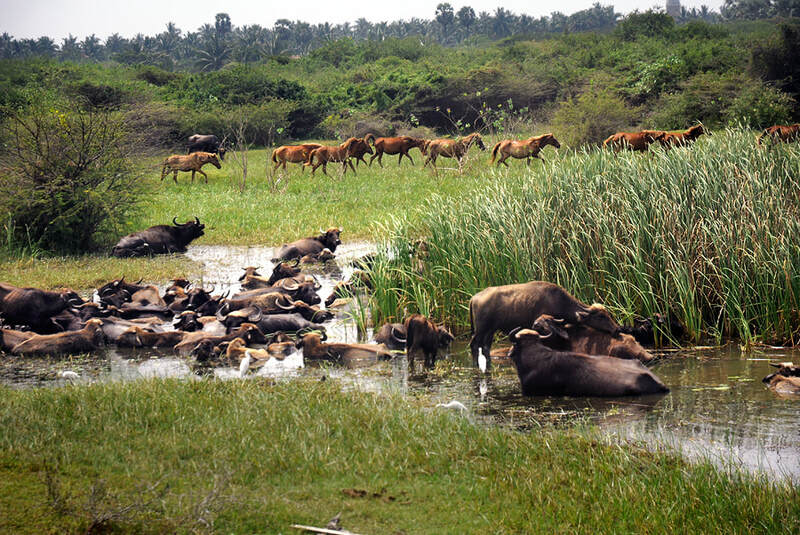 The best place to spot feral horses is Mannar Island's only rich wetland. Apart from wild living horses and donkeys, plenty of birds - including seasonal flocks of Flamingos - are attracted by the freshwater of the tiny Korakulum wetland. Fishing cat, a rare species, has been observed in this wetland area, too. In ancient times, Mannar was renowned for pearl fishing. Pearls, besides gems and spices, were the main export articles of southern India and Sri Lanka during the heydays of the Roman Empire. Instead of natural goods, Roman silver and gold coins were received in exchange. 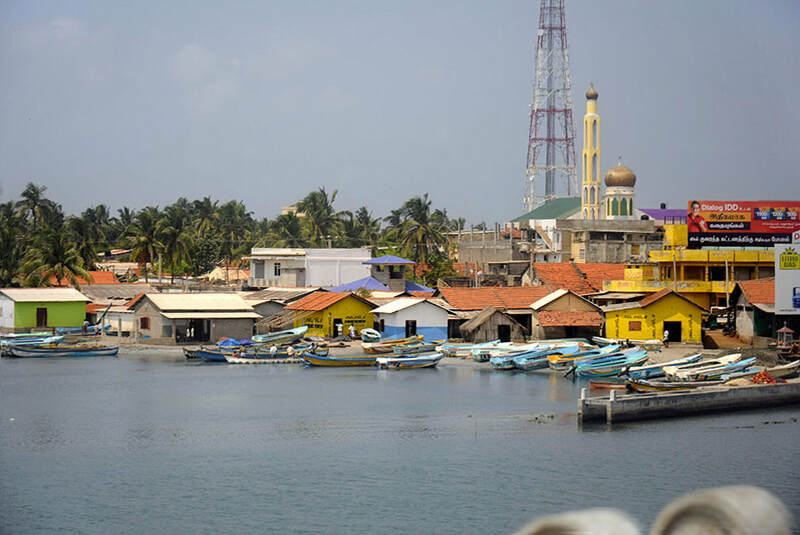 Mannar is mentioned in the „Periplus of the Erythraean Sea“, which was a report about the Indian Ocean harbours composed by an anonymous author, who had travelled to India. 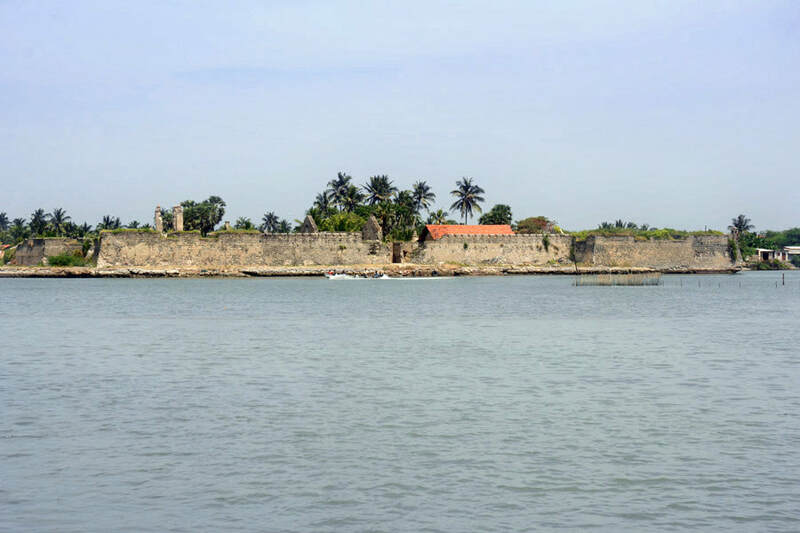 The Portuguese built Mannar Fort in 1560. It‘s situated close to the westernmost point of the island, facing the mainland in order to protect the narrow strait. Mannar Fort surrendered to the Dutch on 22 February 1658, 2 years after the fall of Colombo Fort. In 1996, the Dutch rebuilt and enlarged the fortress. In 1795 they surrendered to the British. Mannar Fort has four bastions. The bastions and ramparts are intact, whereas the other buildings within the fortified area have not been properly maintained. Mannar Fort is currently a base of Sri Lankan security forces. During many years of the two and a half decades of civil war, parts of Mannar were under control of the ruthless rebel army, thousands of Muslims, called „Moors“ in Sri Lanka, were driven out by the LTTE in 1990, though they were native Tamil speakers. The same fate was shared by Muslim and Buddhist minorities in all other parts of rebel-held territory. After the end of LTTE control, particularly after the end of the war, some Muslim families returned to their homes on Mannar Island. Apart from the Dutch Fort, Mannar town is known for its giant Baobab tree. It's called the „Pallimunai Baobab tree“ due to its location in a village of the same name. In Sri Lanka, Mannar Island is the region where most of these trees of African origin grow. Mannar has about 30 Baobab trees, compared to roughly 20 on the main island of Sri Lanka. The Baobab in Pallimunai, situated just 1 km to the northwest of Jaffna Fort, is more famous than any other. With an estimated 600 years, it‘s the island nation‘s oldest and maybe most impressive Baobab tree. There are only two other Baobab trees of comparable size in Sri Lanka, namely on the island of Delft and in the wetlands close to at the seashores to the north of Puttalam. Talaimannar, 25 km to the northwest of Mannar city at the opposite end of the island, is a small fisherman village. 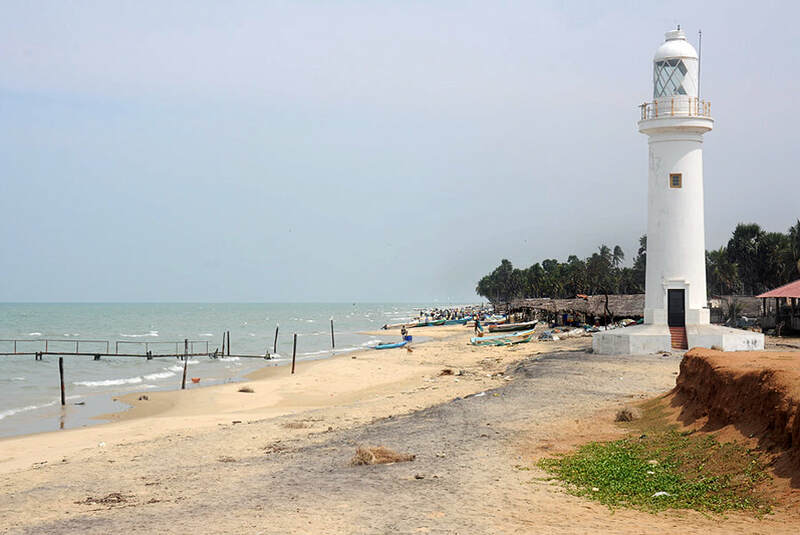 The northernmost point of Mannar Island is marked by a British lighthouse and the Talaimannar Pier. In 1914, a ferry service from India‘s Danushkodi Point was launched by the British, linking the railway stations of Danushkodi and Talaimannar Jetty, which was the terminus of the railway line from Colombo. The ferry service from an Indian railway station to the Talaimannar station was the easiest way for Indians to travel to the island then known as Ceylon. The British colonial administration had introduced this connection for cheaper transport of Indian labourers, tea plantation workers in particular. The pier later on was served by a station of the Ceylon Government Railway. Talaimannar Jetty was severely damaged by a cyclone in 1964. Three years after that devastating Danushkodi Cylone, a new ferry service commenced between Talaimannar Jetty and a newly contructed pier at Rameshvaram Island and was operated three times a week. In the 1984, during the early stage of the Sri Lankan civil war, the ferry service terminated, it has not been resumed ever since. Tailaimannar is said to be the most windy place in Sri Lanka. Not surprisingly, Talaimannar is a kitesurfing destination, though not as famous as the island of Kalpitiya. Ironically, one of the sanddunes of the Rama Setu is devided, the western part of the dune belonging to India and the eastern one to Sri Lanka. Thus, on this islet there is actually a land border of these two states, although Sri Lanka is an island nation. It‘s surmised to be the shortest land border anywhere in the world, just 50 m long. Rama Setu, also known as Adam‘s Bridge, is a 25 km long chain of sandbanks and limestone shoals between Mannar and India‘s Rammeshvaram Island. It is believed to have been built as a bridge by Lord Rama, when his monkey army had to cross the Ocean from India to liberate Rama‘s wife Sita, who was held captive on the island of Lanka by Ravana, a mighty demon king.